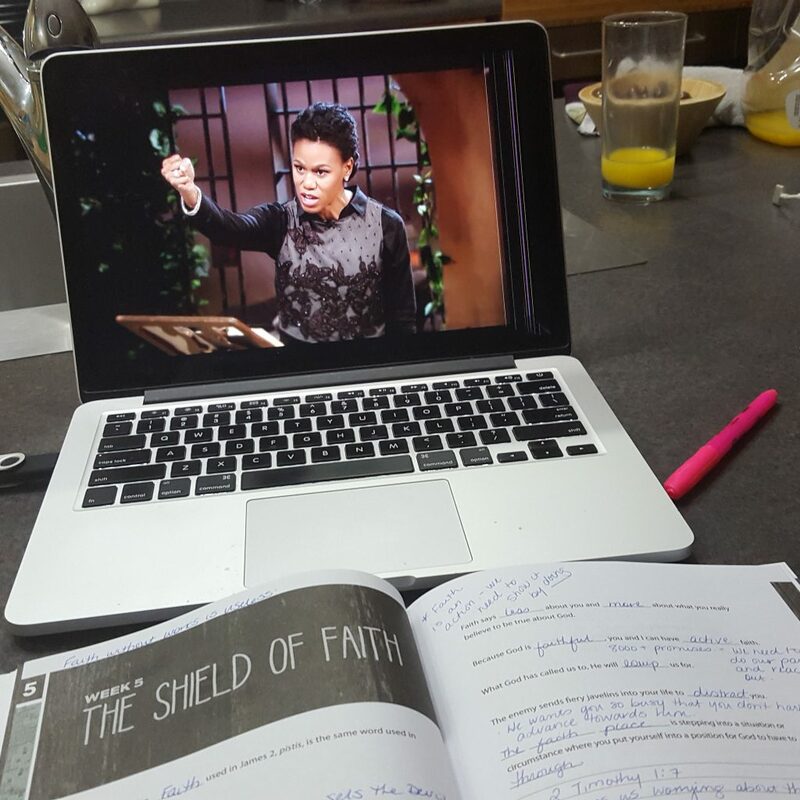 Hands down, “The Armor of God” by Priscilla Shirer is the BEST Bible study I’ve ever done. This a fantastic Study and really challenged me to understand what putting on the armor of God meant in my life. 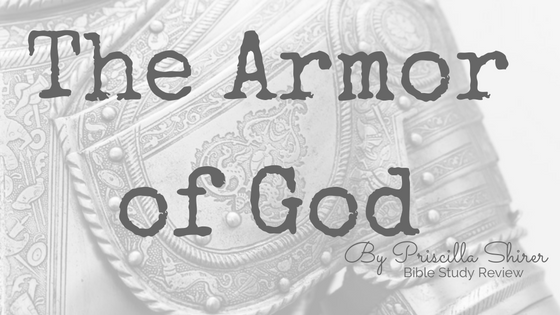 Paul describes the pieces of armor needed to fight the enemy and Priscilla brings clarity and relevance to them in accordance to what we’re facing now. This study has been Life-changing as we have been applying principles of “putting off” anger, bitterness, harsh words, and “putting on” God’s Armor. There are so many parts of my workbook that are underlined and highlighted as directly applying to what’s going on right now in my life or in the world right now. I found that it took me longer to complete each day of homework than has been the case with other bible studies I have done but this is not necessarily a negative thing. Each day was well done, packed with wisdom and insight, and worth my time. Don’t be overwhelmed if you can’t get to every single day. But oh my goodness, it is WORTH doing. “The Armor of God” is not just a passive Bible study where you fill in the blanks and answer some questions and that’s all. It encourages you to write out prayers (called prayer strategies) using the “Actionable Intel” (things you’ve learned) while teaching us how to use our armor as the weapons of warfare they are to defend yourself against the schemes of the enemy with the words of God. You know, I have a prayer journal where over the years I have scribed the concerns of those I have been privileged to spend time in Bible study with but, I’ve never written prayers like this before. The results are amazing. God has used this study in life-changing ways. Scripture leapt off the pages in ways I didn’t even know was possible changing not only how I think and act but He has invited us on one of the coolest of adventures of our entire lives. If you’re looking for something to help with your personal walk/prayer life I recommend this study. The Armor of God not only provides a deeper understanding of the Word but also gives practical strategies of applying them. I love this passage of the Bible. I pray to suit up sometimes too, not enough. My SIL tries to do so every day. Wow! That sounds so inspiring. We are working on putting away our anger and frustration, too. After an incredibly challenging year, we have struggled with our emotions and being our best selves. This looks like an awesome Bible study. Maybe I’ll check this out to start the new year. I’m so glad that you loved it and got a lot from it. Thanks for sharing with us! This sounds like a bible study I want to look into more! Thanks for sharing such a great review! This seems great! I am not familiar with her yet but she seems like a great motivator.